She also shared that she has a lot of decisions to make regarding reconstruction and medication that comes with side effects. 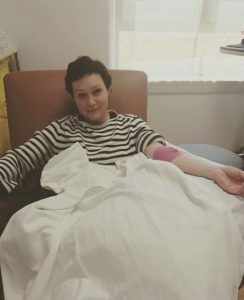 In October 2016 Doherty and her oncologist Dr. Lawrence Piro did an interview with Chelsea Handler. Doherty explained that she was referred to Dr. Piro by a friend after not being happy with the way her case was being handled by her medical team at the time. The conversation with Doherty, Dr. Piro, and Handler is a must-see for anyone dealing with cancer and is an intelligent, well-rounded discussion of the different aspects of coping with such a diagnosis, making treatment decisions, and taking things day by day. With the announcement of her remission, it appears that Doherty has made smart decisions, asked the right questions, and found the right doctor for her who is willing to listen to her, answer her questions, and treat her with respect. 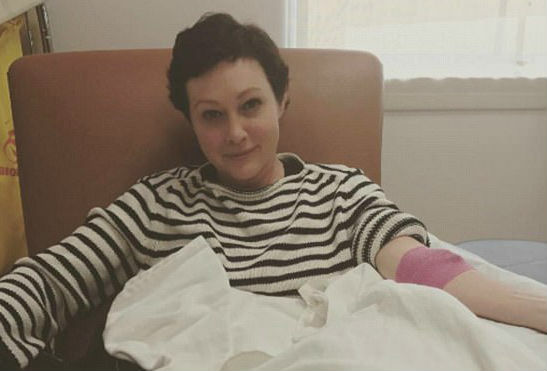 We look forward to hearing further updates from Shannen Doherty and if you want to follow her progress, too, you can follow her on Instagram.